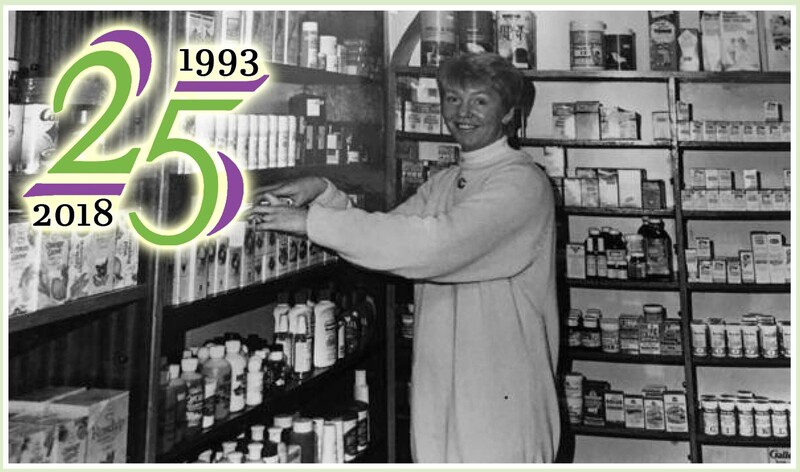 This is a special time for us all at Evolv, as our founders and proprietors Matt and Nuala Ronan are celebrating 25 years in business. Their shop wasn’t always known as Evolv, and it wasn’t always at 2 Castle Hill. But still, they’ve been a quarter of a century in the business of health food, natural nutrition, and complementary therapies. Matt and Nuala opened on March 1st, 1993, in a shop known as Only Natural at Rafter Street. The main picture above shows Nuala on opening day. They had bought the business from Gerard Colfer and they grew it substantially – so much so, that just two and a half years later, the premises was too small for them and they had to move! So, they transferred the business to 6/7 Castle Hill in September 1995. They stayed there for seven years, and again saw business grow until they ran out of space again! Matt and Nuala also wanted to create something on a larger scale and with a new identity, so in 2002, they moved across the road to 10 Castle Street. 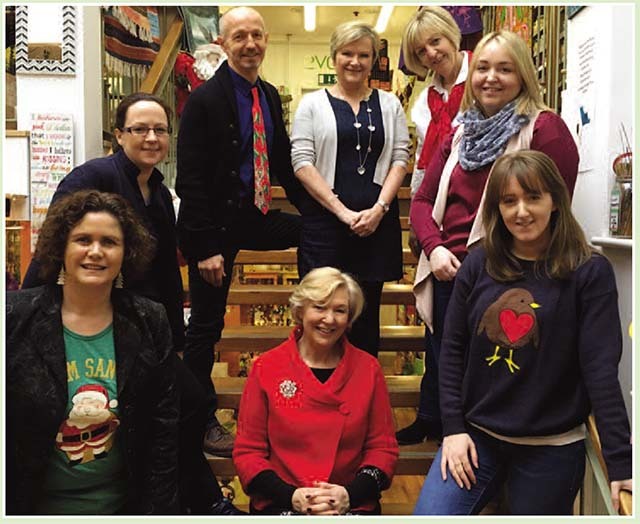 They re-branded as Natural World and delivered a whole new shopping experience to Enniscorthy, with a vegetarian restaurant and an emporium of all things natural. Natural World was truly a transitional store, and delighted with the positive response, Matt and Nuala began to look for further opportunities for development and expansion. They searched for the perfect premises that they could purposely build as a store that would truly reflect who they are. And so it was that they opened Evolv at 2 Castle Hill during 2006. The retail space there consists of three floors of all things relating to natural health, while there is also an extensive therapy centre, providing wonderful and amazing therapeutic treatments. Evolv continues to develop its own identity, and has built up a loyal base of customers and friends. Matt and Nuala look forward to continued growth, to making new friends…and to many more years of serving you! We’ll have our anniversary celebrations on the exact date it falls – Thursday March 1st, 2018 – which comes during our annual Spring Into Health Week. We’ll have cake and goodies for all customers from 10 a.m. onwards. There’ll also be lots of special offers on the day. You’ll also have a chance to win a massive hamper, jam-packed with some of our most popular products. Don’t miss out – come and help us celebrate! Nuala and Matt with their wonderful staff at Christmas 2017.